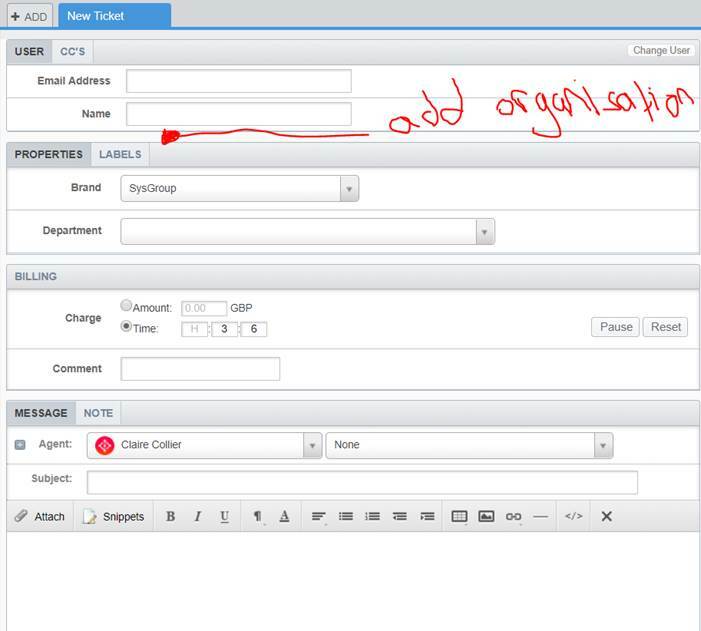 When creating a new ticket, if you choose to create a new user, then it is only after the ticket and user have been created, can an Organization be added. Is there any way to add an Organization (as an optional field) when creating a new ticket with the new user option. Image attached below of our current New Ticket screen to show the area being described.